BRUSH TABLE, 3 AUTO INDEX, THICK TURRET, 31 STATIONS, S/N AVP55284. BRUSH TABLE, 3 AUTO INDEX, THICK TURRET, 31 STATION, S/N AVP55285. 58 STATION, 2 AUTO INDEX, THICK TURRET, S/N AVP45040. 58 STATION, 2 AUTO INDEX, AND AMADA MP1212NF LOAD SYSTEM, S/N AVP45027. VIDMAR CABINET WITH THICK TURRET TOOLING. 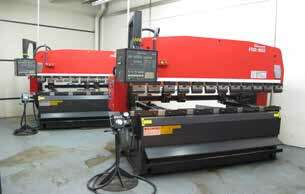 AMADA H250 HORIZONTAL BAND SAW. H & H 100 KVA SPOT WELDER MODEL 4. ACME 75 KVA SPOT WELER MODEL 4C-36-75. AEM NBS250, 24’’ WIDE BELT GRAINER. ARMCO 37W175, 37’’ WET WIDE BELT GRAINER. GRINDMASTER MSB900, 36’’ WIDE BELT GRAINER. 5) HOBART, AIRCO AND LINCOLN WELDERS, TIG. 2) FALLS METAL D BURRING MACHINES. TAFA MODEL 9000 ARC SPRAY SYSTEM WITH GUN.